The museum houses the private car collection of H.H. Sheikh Hamad Bin Hamdan Al Nahyan, a member of Abu Dhabi’s ruling family. The Sheikh has amassed a collection of 400 vehicles to date, around 230 of which are on display in the museum. According to the man on the door the 230 vehicles are valued at approximately 25 million dollars. 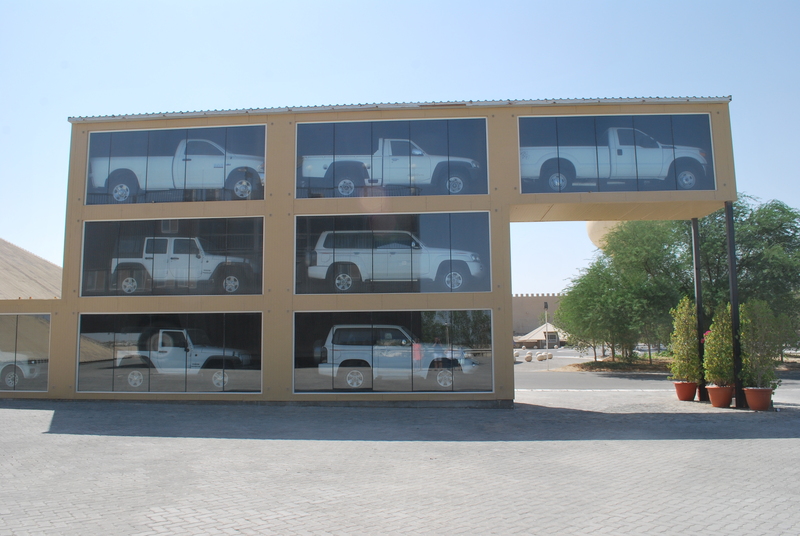 A regular building was not good enough for the Sheikh’s collection. 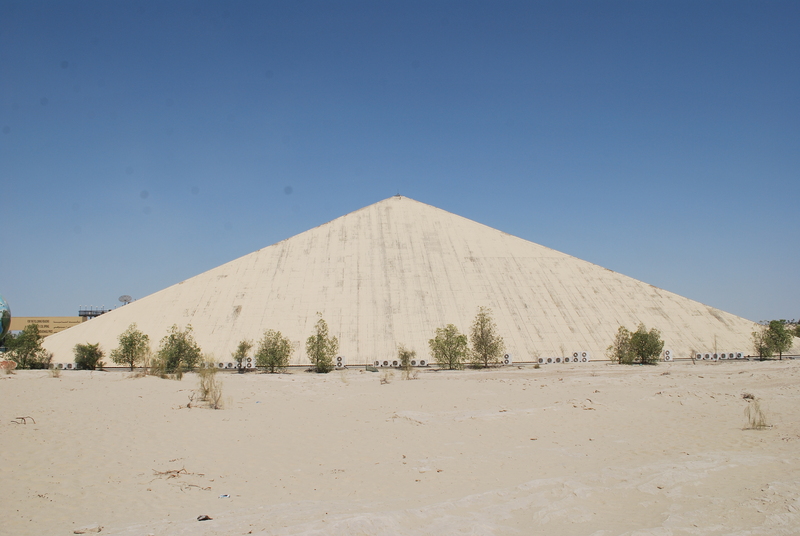 Instead he commissioned a specially built 100m by 100m pyramid to house it. The building seems to be lacking a little TLC these days but is still an impressive, if surreal, sight as it rises up out of the desert as you drive towards it. Some of the vehicles are pretty “normal”, others are most definitely not. Some have been kept “as purchased”, others have been customized to meet the Sheikh’s personal tastes. For example, the collection includes seven Mercedes S-Classes in different colors of the rainbow, rumoured to have been given to his wife as a wedding present, leading to the Sheikh being given the affectionate nickname of “the Rainbow Sheikh”. 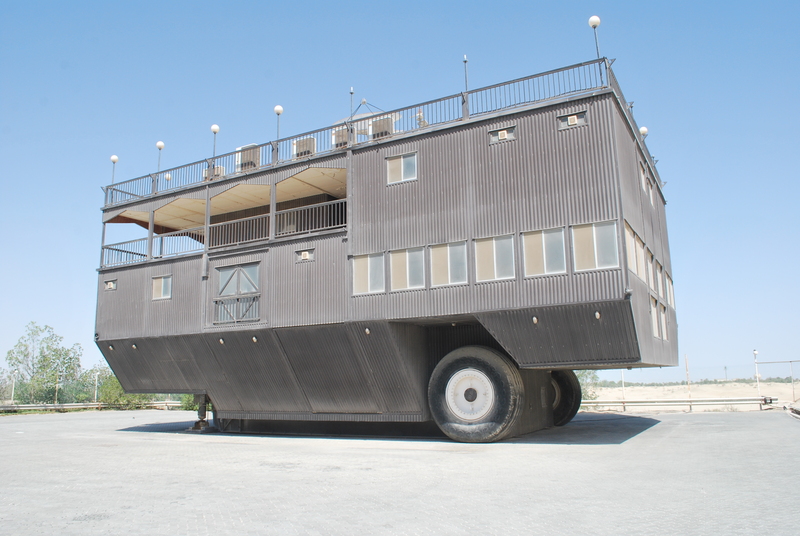 The more eccentic vehicles in the museum include a five-metre-high Dodge, which apparently has a complete apartment under its roof. 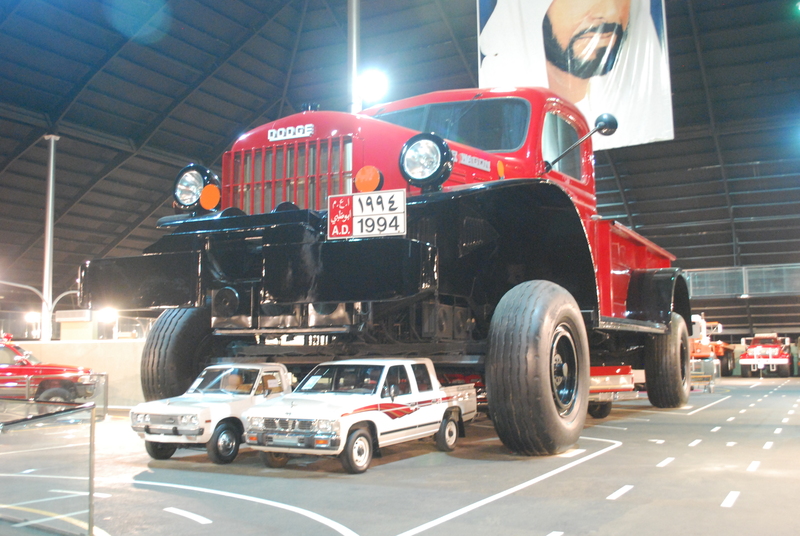 And to give you an idea of its size, it had a couple of normal size Dodges parked underneath it. 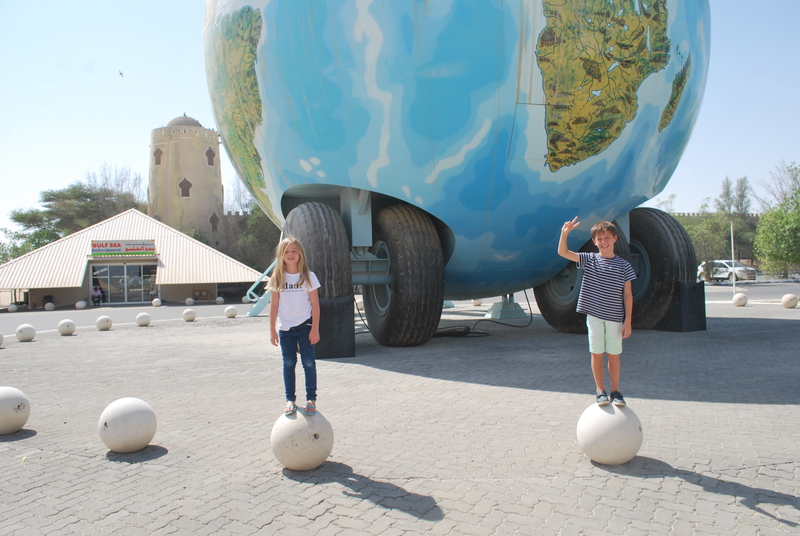 Outside the front of the museum you will find some other sureal sights, including a motor home in the shape of a giant globe that is (apparently) exactly one millionth the size of the Planet Earth. Is that not weird enough? How about the world’s largest “caravan”? Or a display cabinet of vehicles? Before you leave the museum make sure you go up to the balcony that runs around the interior of the building. There are only four cars up there at the moment, but you can get some good pictures across the inside of the museum to the giant Dodge. Once you have finished inside the museum ask the man on the door to unlock the gate so you can have a look behind the building. 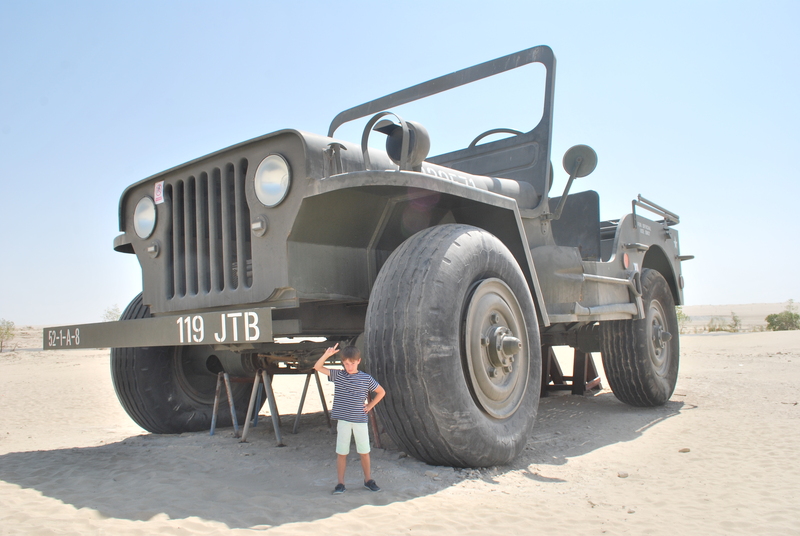 Back there, surrounded by sand dunes (and not forgetting the “dead” plane), you will find a four to one scale replica of a Willys MB U.S. Army jeep, holder of the Guinness World Record for the largest motorised model car. The museum is a 45 minute drive out of Abu Dhabi into the desert on the E65 (there are a couple of speed cameras so keep a look out). It is sign posted and due to the pyramid structure and the huge jeep on the roadside is unmissable. The museum’s website says it is open daily from 8am to 6pm, including on public holidays. The Google entry says it is closed on Saturday and Sunday but I’m pretty sure this is not the case. 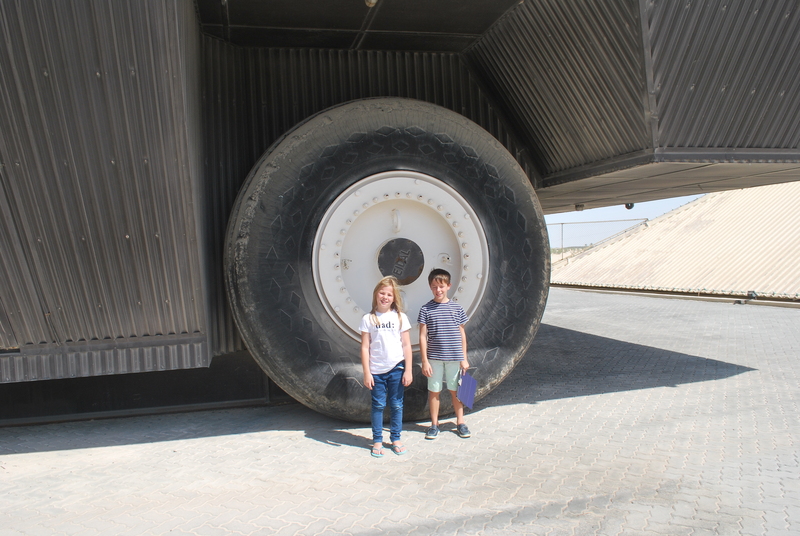 Admission is AED 50 per adult and free for children (not sure at what age they have to pay – ours were 9 and 8 when we went).